love this ! 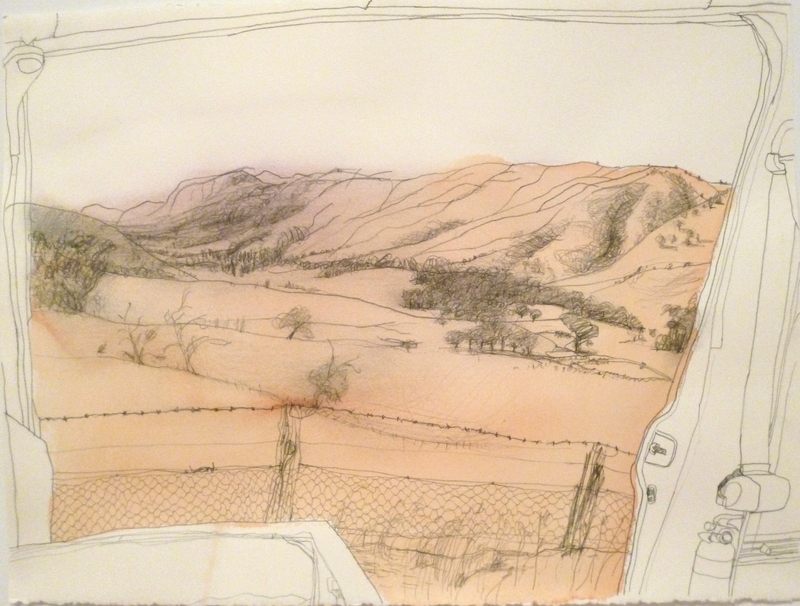 beautiful drawing from your van ,it brings back memories of the lie of the land ,the dryness, the brownness! Keep out there in the trusty red van! do you take a flask of tea? settle when it is so grey and dark outside, and then i forget outdoors and have a go at pushing ideas,messing with materials, until i look up and out, a hen might be eyeing me through the glass door, saying food time?, the clouds have started to look interesting up the valley ,-the sun might be setting up the road, i look at the dog ,waiting ,watching,-walk?? I have a van for a mobile studio too ,,very useful for putting so much in just incase you might need it.Good to draw from in strong wind!and storm. A challenge is what to only take in a rucksack and hike off in the hills for some ‘en plein air’ ,Then you eventually ,days/weeks later come back to unpack in the studio with sketches from where youve been so physically immersed and pin them up.Then the BIG question! studio versus en plein air!! Ah Jos this is great! You get what I’m trying to say. Your push to be out in the wild is very strong. Living in towns has made me a bit soft, but the rewards of the natural world are well worth the effort. So glad you’re following this – a like mind around the planet. Thanks Nicholas. Yours too! 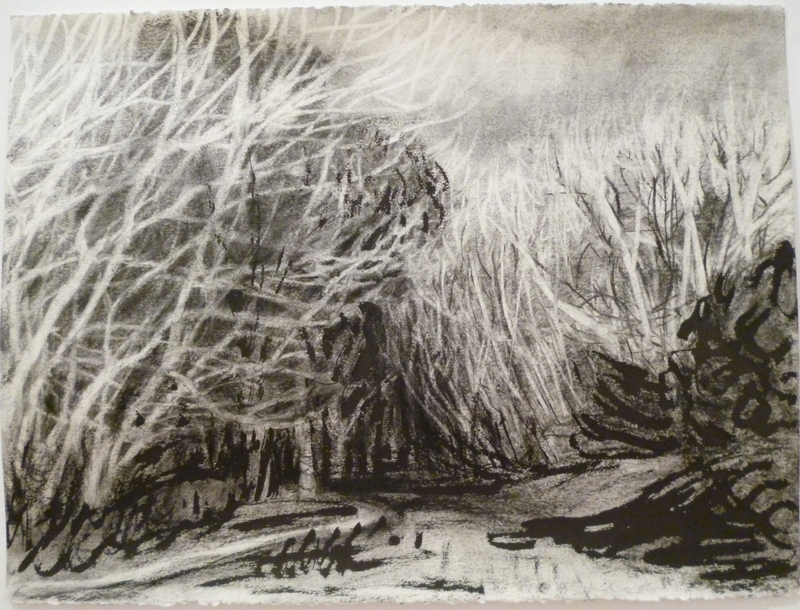 Ah those landscape sketches – despite the cold! I don’t do everything outside though, as it can be almost impossible to work in the winter when it is cold and moreover so windy one can barely think! Yes I can only imagine! That’s also why I admire them, your determination to capture something out there, and bring it home to work with.